Record Store Day 2019: A week of special features and reviews | What Hi-Fi? The vinyl record is alive and kicking. More than 70 years after its launch, and at a time when streaming services are fast replacing physical media, the vinyl LP's enduring appeal is, frankly, astonishing. And yet here we are. Not only does vinyl's popularity endure, sales are actually increasing, with vinyl revenues at their highest for 30 years - the same can't be said for CDs or digital downloads. It's no wonder initiatives such as Record Store Day, which takes place this Saturday, have captured the attention of a reinvigorated, record-buying public. Everywhere from supermarkets to clothes shops have taken to stocking the latest vinyl releases and even turntables, as music fans come round to the idea of paying to own something that offers a little more long-term appeal than a download or stream. 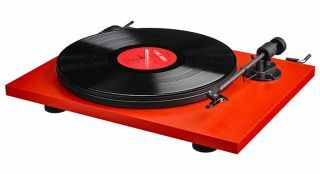 Similarly, many people are dusting-off old decks, prompted by vinyl reissues and new releases, as well as brand new hi-fi products aimed at people who want to incorporate vinyl into their music systems.